The signature logo was used during the first years in Toledo (1892 – 1896). Signed pieces with this signature are not easily found. Most of the cut glass during this period used the standard Strawberry Diamond, Hobstar, and Fan motifs. 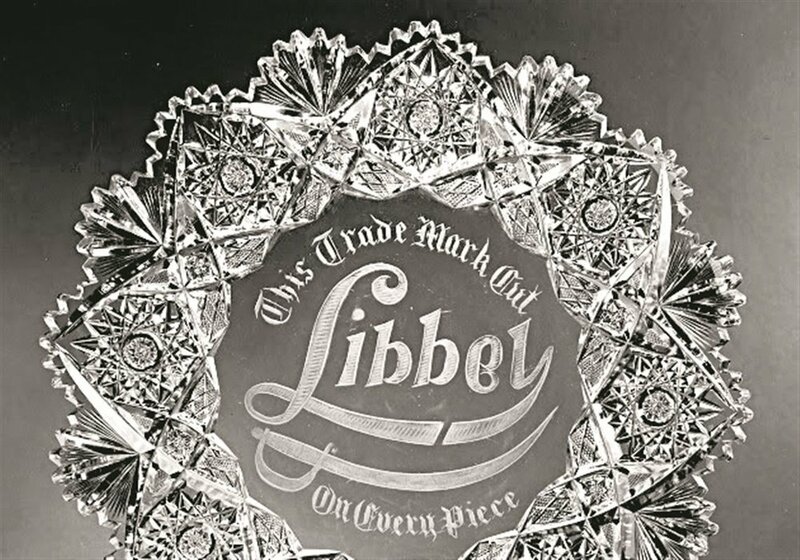 The lead oxide content creates a sparkle in the deep, thick cuts, which led the Libbey Glass Company to win many awards and become the largest cut-glass factory in the United States during the close of the nineteenth century and the first years of the twentieth. Beautiful examples can be seen at The Toledo Museum of Art. HH Antiques has seen several pieces of signed Libbey Glass in the past 20 years, including two of the most common patterns, Hobstar and Fan. A collector can find a rare American Brilliant Period signed piece of Libbey stemware for about $20 – $25. Are you looking for antique or collectible Libbey Glass in the Toledo area?